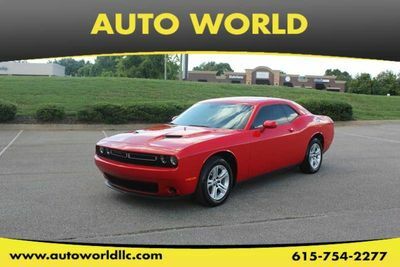 ***3RD ROW SEATING**SPORT MESH LEATHER SEATS**BACK UP SENSORS**SATELLITE RADIO**TOUCH SCREEN AUDIO SYSTEM***CALL US NOW FOR INFORMATION AT 615-758-6464 OR 615-754-4CARS(2277)! THIS 2017 DODGE JOURNEY COMES EQUIPPED WITH A 2.4L 4 CYLINDER ENGINE AND AUTOMATIC TRANSMISSION MAKING IT A GREAT VEHICLE FOR YOUR FAMILY! THIS VEHICLE COMES EQUIPPED WITH BACK-UP CAMERA, 3RD ROW SEATING, BLUETOOTH CAPABILITY, PREMIUM LEATHER SEATS WITH SPORT MESH BACK-UP SENSORS, AUXILIARY INPUT, TOUCH SCREEN AUDIO SYSTEM, AM/FM/SATELLITE RADIO, USB INPUT, CRUISE CONTROL, POWERED DRIVER SEAT, PUSH BUTTON START, POWER WINDOWS, POWER LOCKS, FOG LIGHTS, , 1 OWNER VEHICLE, NO ACCIDENTS, AND MUCH MORE!! FINANCING OPTIONS ARE AVAILABLE ON OUR WEBSITE AT WWW.AUTOWORLDLLC.COM.